Paige was enrolled in cyber-school, but was struggling to learn. Cyber-school felt impersonal and didn’t provide one-on-one instruction. Paige heard of Goodwill’s high school equivalency classes from her cousin, enrolled and started classes in May 2017. She found that the classes provided her with the personal attention she needed to succeed. When she started classes, Paige doubted that she would achieve her diploma. However, after she passed her first test, her confidence grew. Paige began taking the HiSet® Exam and completed her final test in October. 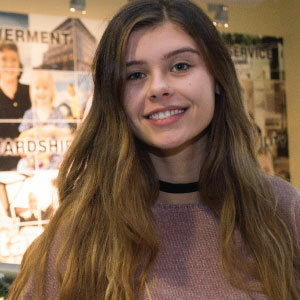 She graduated at the Goodwill Celebration of Success in December 2017. She is planning to study to be a Lab Technician at Bidwell Training Center. To learn more about the Goodwill Literacy Initiative, click here.